This part of the planet is a region with mainly three interesting aspects: Water, Landscape and Technology. The river Weser is the lifeline of this region. The river and his confluents connect almost all important villages and cities (also in context with Rotary Distrikt 1850, host of the Summercamp 2017), like Verden, Rotenburg, Syke and Bremen. The landscape is an interplay of river and lakes, forests and moors. It offers varied worlds of experience intermixed with a strong link to technology. Bremen is a center of aviation and space in the north-west of Germany. In addition to a major contribution to the International Space Station, the satellites for the European navigation system Galileo will also be built here. Companies like Airbus Industries, OHB Technology and Astrium are located here, as well as agencies like DLR who are responsible for design and analysis of future spacecrafts space missions (launchers, orbital and exploration systems, and satellites). get an experience of space travelling, space & air industry. Make own experience in the „School Laboratory“, or in the self-test Museum „Universum“, see the space station at „Airbus“ or the company „OHB“; famos for Satellits. have fun with canoe, bath, coordination games like playing golf, sightseeing in Bremen and Hamburg or free time. to the sea e.g. walk on the ground of the see. *Please complete the application form and send it to your rotary-club until April 30, 2017. Please make sure to fill out the required gaps. 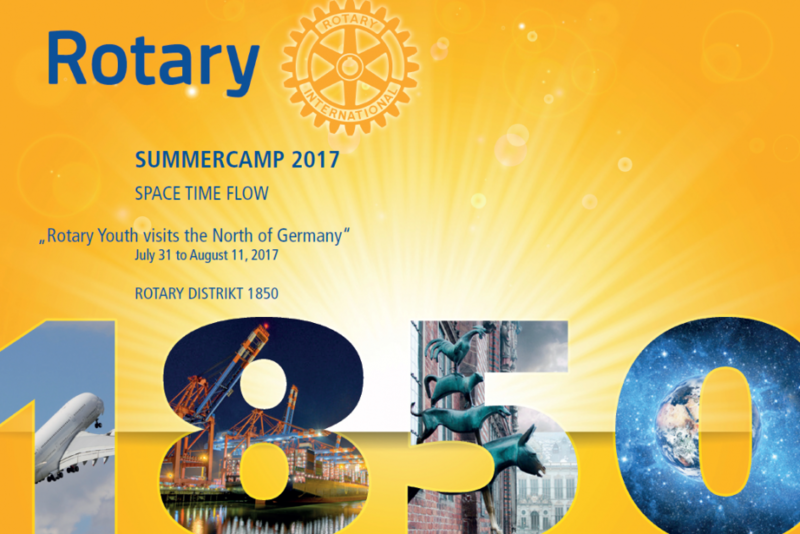 Your Rotary-Club will send the Application to the district in germany.